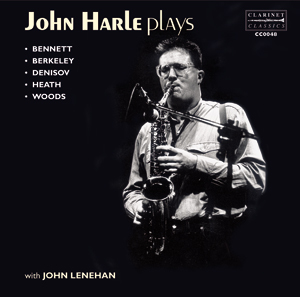 Clarinet Classics is proud and delighted to honour one of the world’s most brilliant and versatile composers and musician. 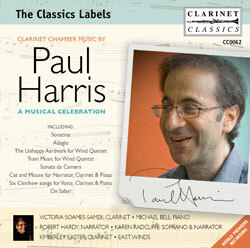 To celebrate his 75th birthday, Clarinet Classics is releasing a CD which features many of his works for clarinet. 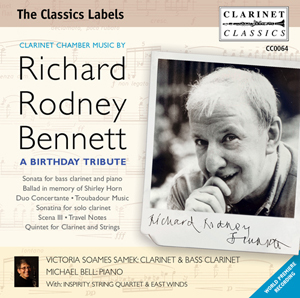 This CD, a rich and diverse collection of works, will be of great interest to listeners who wish to hear some of Richard Rodney Bennett’s more serious music. 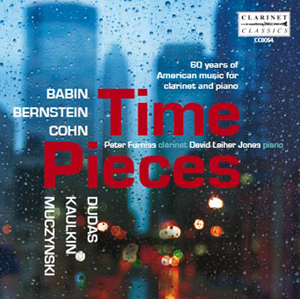 The founder and artistic director of Clarinet Classics, Victoria Soames Samek, whose many recordings are celebrated for their masterly and musical interpretation, is joined on this fascinating and colourful disc by duo partner and pianist Michael Bell. The Inspirity String Quartet and East Winds also perform.